These wonderful volcanic islands bubbled out of the ocean off the coast of Africa some 30 million years ago, setting themselves up to receive a flood of 21st-century sun-worshippers. 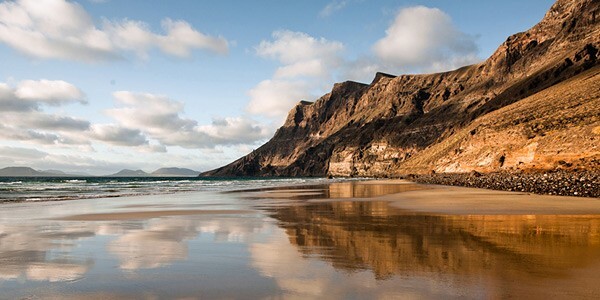 But don’t be fooled by their reputation for sprawling resorts, Irish bars and English breakfasts: the Canary Islands have plenty of surprises in store. Here we focus on the 3 largest – Tenerife, Lanzarote and Gran Canaria – and show why their sleepy villages, verdant landscapes and ancient lava flows will shatter any lingering stereotypes. It’s a short-haul flight from London (4 hours) and winter warmth is guaranteed, but that’s where the inter-island similarties end. 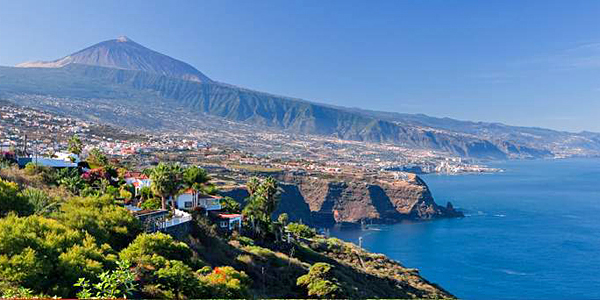 Each offers a unique and strikingly beautiful landscape – Lanzarote has lunar-like volcanic craters; Tenerife has incredible Masca, a mountain-side village that looks out to sea; and Gran Canaria has rugged mountains and golden beaches. It may not make great headlines in the tabloids, but the Canaries’ history, culture and natural beauty remain, on the whole, undiscovered, and those who delve beyond the resorts will be richly rewarded. Gran Canaria’s landscapes range from lush valleys to sweeping sand dunes, from rugged mountains to sunny beaches. We recommend avoiding the south (around Playa del Ingles) and heading to the dramatic mountains and seacliffs of the north. 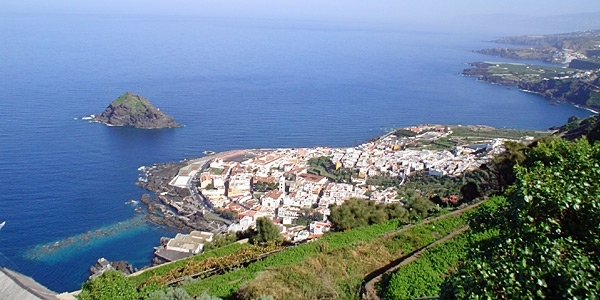 Highlights include the cliffside drive between the towns of Aldea and Agaete, the village of Arucas (the ‘pearl of Gran Canaria’), and the appealing city-beach combo of Las Palmas – the capital of Gran Canaria, as well as neighbouring Fuerteventura and Lanzarote. Head inland and stay at family-friendly Hotel El Mondalon or the historic Hacienda del Buen Suceso. 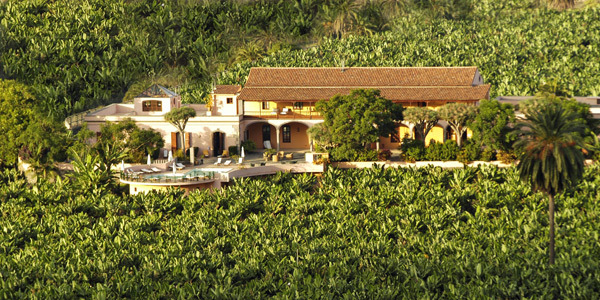 Established in the 1500s, the latter is the oldest hacienda estate in the Canaries and sits in a sea of banana trees, with wonderful views over the grounds. Both properties are within easy distance of fantastic beaches, including the 2.8km stretch of golden sand at Canteras in Las Palmas, and Puerto de las Nieves, from where you can take a ferry across to Tenerife. As with Gran Canaria, if you want to avoid the tourist hordes, you have to head north. One of our favourite hideaway locations is the sleepy town of Garachico. It doesn’t have a real beach (and as a result has retained much of its Canarian identity), but you can swim in volcanic rock pools and there are black-sand beaches nearby. Don’t miss the town square, Glorieta de San Francisco, or the tiny but wonderful gardens in Plaza de Juan Gonzales de La Torre, where the original arched gateway still stands – the only piece of architecture to survive the 1706 volcanic eruption. Stay in the exquisitely converted Hotel San Roque (an 18th-century mansion) or head out of town to tranquil manor house Hotel El Patio. Mountains rise up behind the town, and a trip up into the hinterland takes you into 3 nature reserves: the Teno Rural Park, the Forest Crown Nature Park and the Chinyero Special Nature Reserve. You can keep going and do a tour around the Pico del Teide volcano (Spain’s highest mountain), then visit magnificent Masca for views all the way down to the coast. Or head east for laid-back city sophistication in Santa Cruz and La Laguna, each with its own distinct personality; oceanside Jardin de la Paz makes and ideal base for exploring both. Completely underrated as a destination, Lanzarote has avoided the mass development of its neighbours and remains strikingly beautiful. There are about 300 craters on the island and a busy period of volcanic activity in the 1700s means that much of the landscape is now covered by dramatic black sand and lava rock. Don’t miss the incredible examples in the Parque Nacional de Timanfaya (just north of Yaiza), where you can travel through lava lakes and volcanic peaks by coach or (more adventurously) camel. The vivid green seaside lagoon of El Golfo is a short drive away, so if you combine the 2 you might just be able to fool the kids that you’ve landed on Mars. Casa de Hilario, La Casona de Yaiza and Casa El Morro are particularly well-located for such an expedition. In the centre of the island you’ll find mile upon mile of stunning (and slightly unexpected) vineyards. The owners of Finca Malvasia – a sparkling turquoise oasis in the charred desert landscape – can arrange wine-tasting walks, and the tumbleweed solitude is perfect for those seeking a calm refuge after a day of excursions. 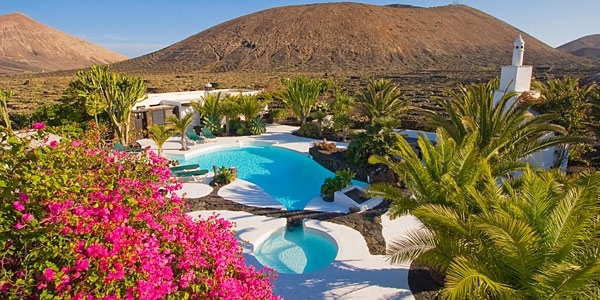 One of the reasons that Lanzarote has avoided the excesses of other tourist hotspots is artist and architect César Manrique. 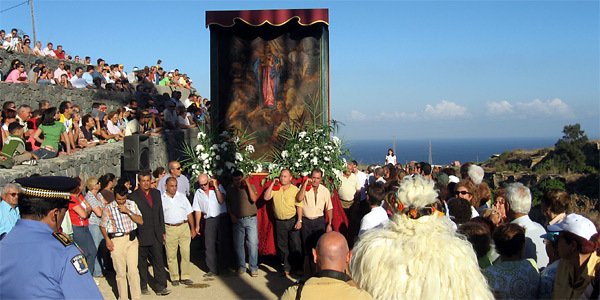 He campaigned to retain indigenous architecture and his work is a highlight of the island. Be sure to visit his cactus garden at Guatiza, the grotto at Los Jameos del Agua (just north of family-friendly eco-resort Finca de Arrieta), his breath-taking house at Tahiche (built on a lava flow), and the cliffside El Mirador del Río viewing platform. The Canaries are a year-round destination: their location affords warm weather in winter and cooling Atlantic breezes in summer. As a result, winter (November-March) is peak season here. The islands are also busy between July and September because, let’s face it, no one’s expecting a tropical UK summer. If your priorities veer towards something other than sunshine, come in February/March for carnival celebrations, or in spring for wild flowers. Don’t underestimate the power of the sun. That deceptive breeze may make you think there’s no need for a sun hat or a midday (non-alcoholic) drink, but this is not a sheltered Mediterranean island. It’s an exposed, volcanic outcrop mere miles from the African coast, with the same latitude as the Sahara. Ignore the sun at your peril! 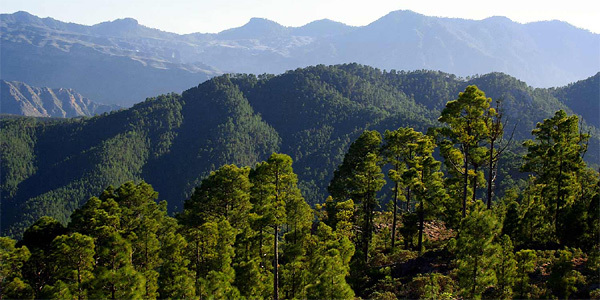 See our destination guide for more information on the Canary Islands.